We are excited to welcome back the fun and informative BaySplash event, hosted by the Eco Center at Heron’s Head Park and Bay.org. 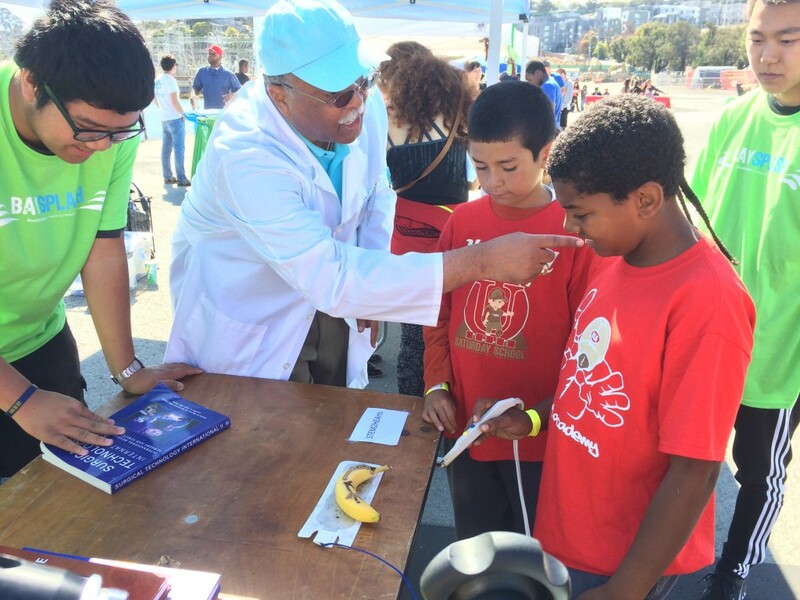 Join us for a fun and FREE day of science, arts, music, food, and celebrating the Bay. BaySplash is a STEAM-based (Science, Technology, Engineering, Arts, and Mathematics) event that revolves around three pillars: community revitalization, environmental justice, and urban sustainability; encompassing the past, present, and future of the community in which the EcoCenter serves. Our goal is to encourage the Bayview-Hunters Point community to explore and experience the EcoCenter while discovering what it means to live more environmentally friendly lives…and of course, to have fun! We’ll be activating three zones: the STEAM (Science, Technology, Engineering, Arts, and Mathematics) Zone, the HEAL (Healthy Eating Active Living) Zone, and the EcoCenter & Outdoor Exploration Zone.